Sitting around a campfire can be a great time for family bonding. If you are in a family like ours, campfires also provide opportunities for quick and easy meals. I can still remember the day my parents bought our pie irons. We were so excited to start cooking with them and could not wait to get to our hunting lease so we could build a fire and start cooking. 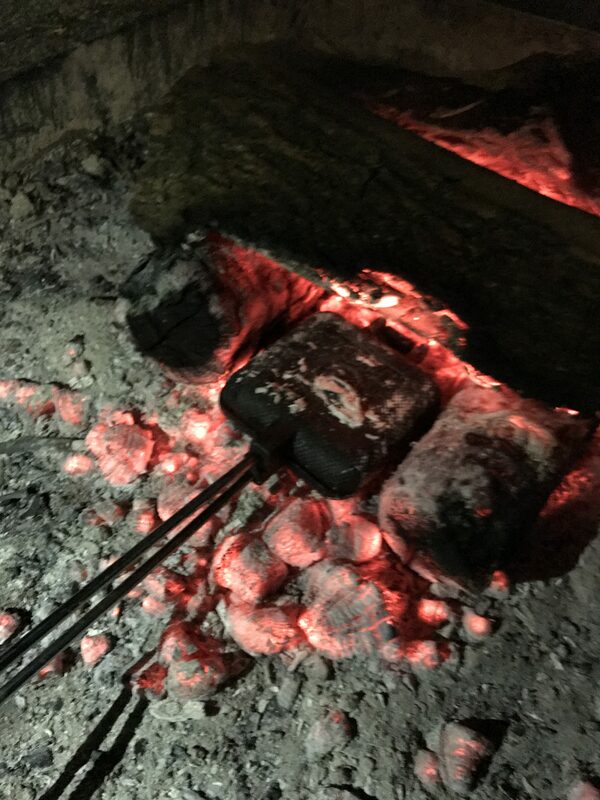 The hardest part about our first time using our pie irons was waiting for the campfire to burn long enough to produce coals. I can still remember sitting around the fire and waiting. It seemed like it was taking forever! Eventually the fire was hot enough. We were able to make our first pies and so began our pie iron adventures. We made countless fruit pies, pizza pockets and grilled cheese pockets. Many years later, when I began camping with my own children, one of the first things we purchased was a pie iron. I wanted my kids to experience the fun I had as a child cooking in a campfire. 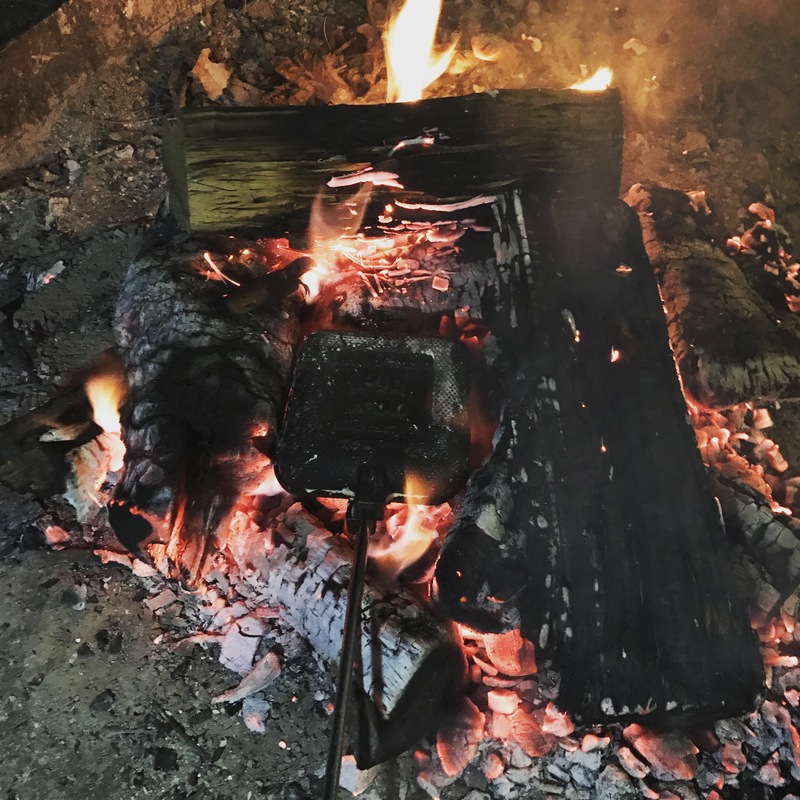 We spent last week at Lake Catherine State Park in Hot Springs, Arkansas and several nights we had the pleasure of cooking with our pie irons. E and J were so excited when they found out we were going to break out the pie irons and make Campfire Pizza Pockets. These are so simple to make and the kids enjoyed helping prepare them. They liked it even more when they got to eat them! 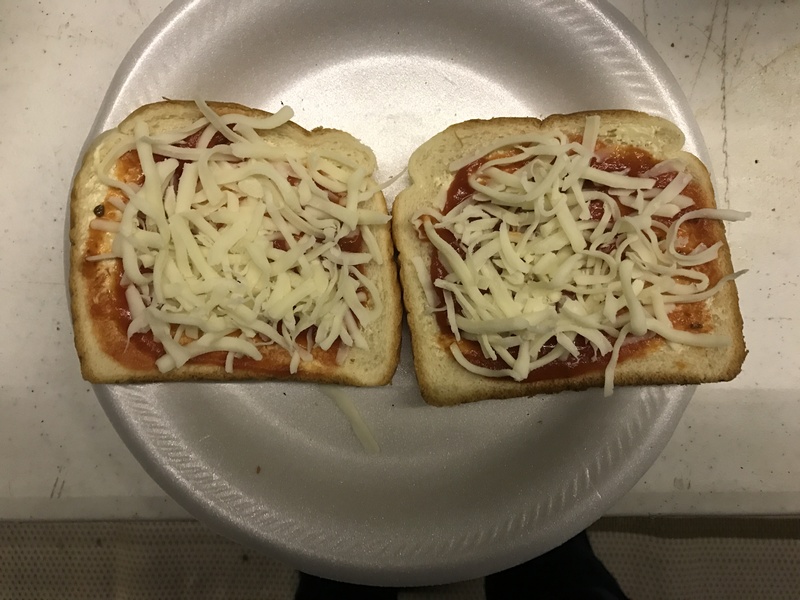 I lost track of how many times one of them would say, “Campfire Pizza Pockets are my favorite!” When I shared pictures of our meal on Facebook, several people said they had never even heard of cooking with pie irons in a campfire. 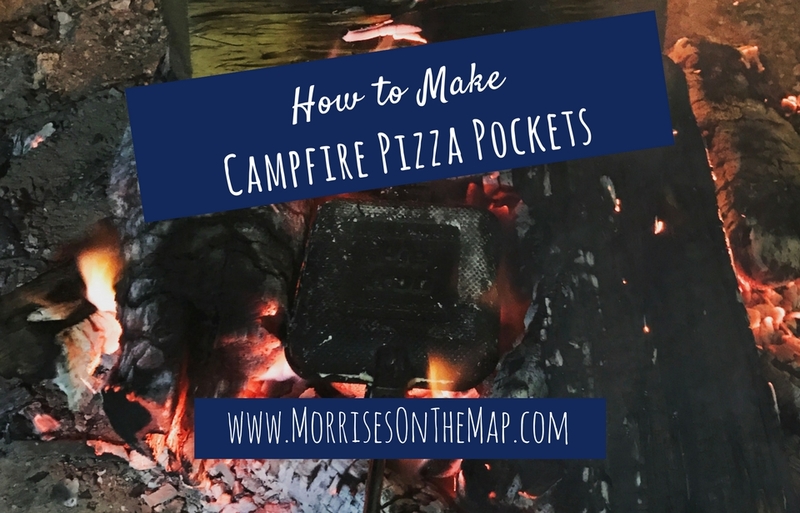 I decided then I would share a step by step guide for how to make our Campfire Pizza Pockets using pie irons. *This is what we put in our pizza pockets. You can play around with this and add other toppings if your family likes other types of pizza. Before you can start cooking, you have to build your campfire. You will need to wait until you have a lot of hot coals before you begin cooking with your pie iron. Once you have coals place your pie iron on the coals to heat up. Preheat your pie iron for about three minutes. While your pie iron is heating up. Butter one side of two pieces of bread. 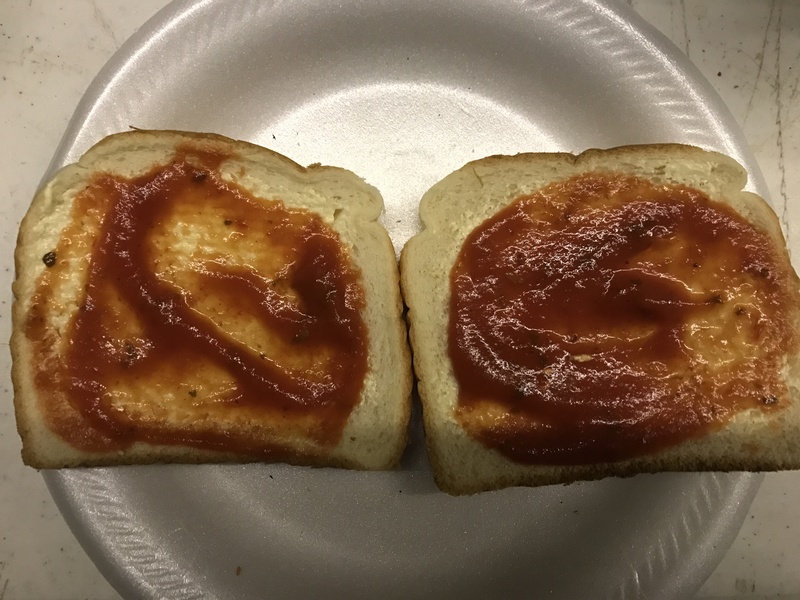 Turn the pieces of buttered bread over and put 2 tablespoons (really just 2 spoonfuls) of pizza sauce on the unbuttered side of each piece of bread. Cover each side of bread with shredded Mozzarella cheese. 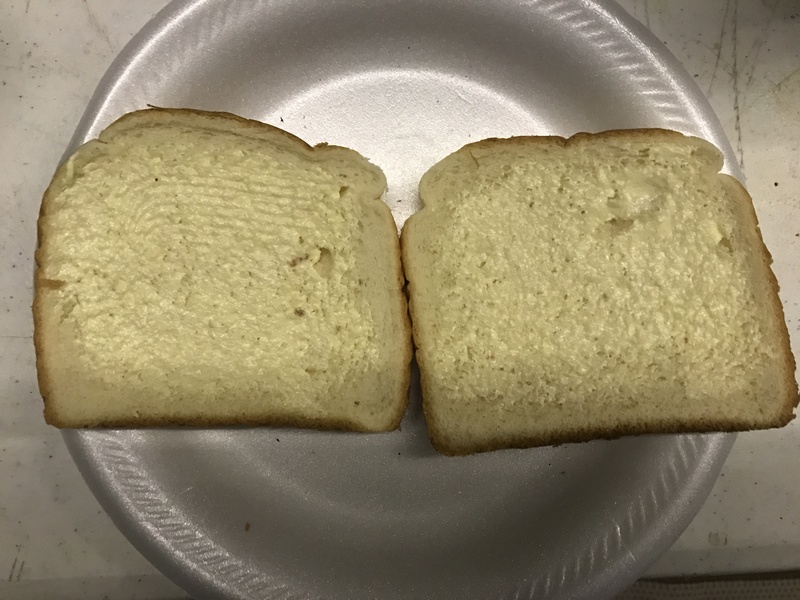 Try not to have any hanging off the edge of the bread. 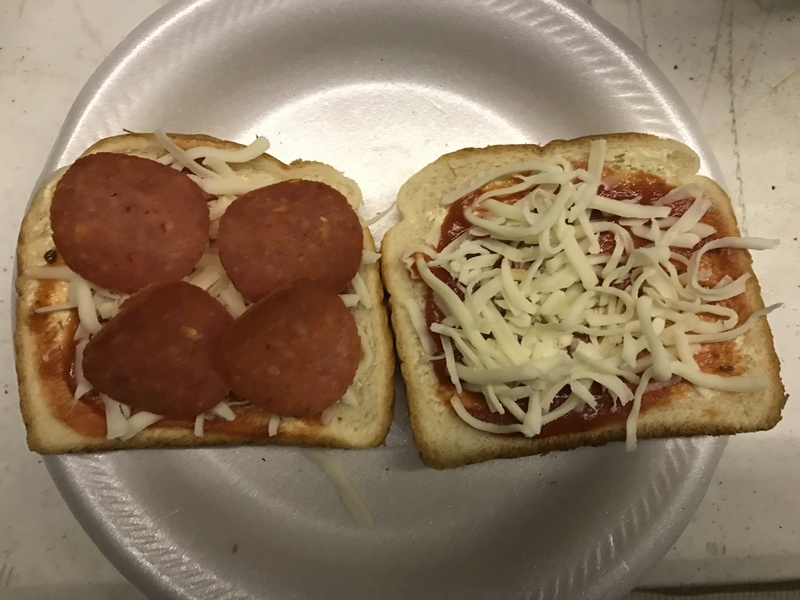 Place 4 pepperonis on one side of the bread and then put the two sides together like a sandwich. Take your pie iron off the fire. You will need a place to lay it where it will not burn the table. We usually use the campsite grill if they have one. Open the pie iron and spray both sides with cooking spray. 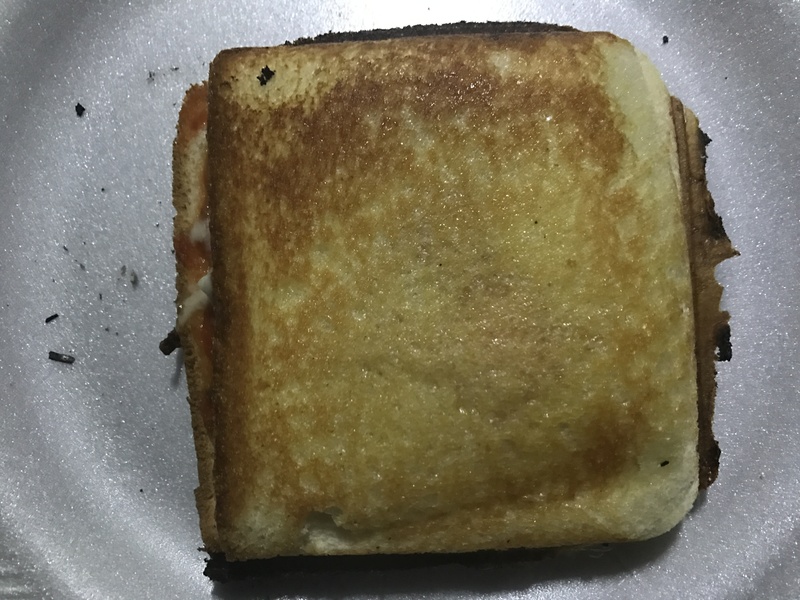 Place your pizza “sandwich” on one side of the pie iron and close it. Use a butter knife to cut away any bread that is outside the pie iron. Now you can give the Campfire Pizza Pocket to one lucky camper to enjoy and start cooking the next one! Make sure to let it cool a few minutes before eating. One of the best things about cooking with a pie iron is how little clean up there is. The only thing you will need to wash will be the utensils you used, plates (unless you use paper) and the pie iron. To clean your pie iron you will need to let it cool completely. Wash it like cast iron with warm water, a tad amount of soap (if needed) and elbow grease. You will need to dry it with a towel and then heat it until the water evaporates. To heat it you can hold it over the fire, or we have even held it over the gas burners of our stove in the rv. It does not take long to dry. Once it is dry, you will need to coat the iron with a little cooking oil. 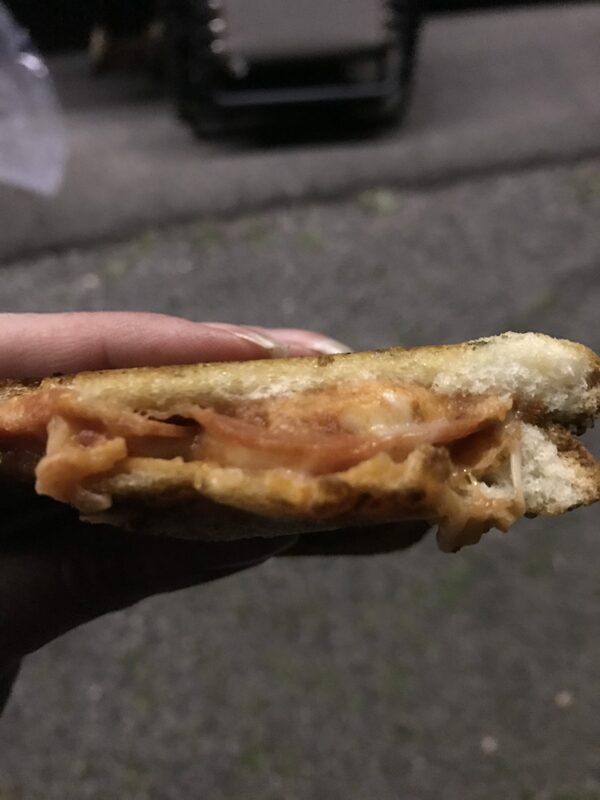 Making Campfire Pizza Pockets is not hard at all and they are very tasty! I hope your family enjoys making and eating them as much as mine does! If you have a pie iron recipe you enjoy cooking with your family, we would love for you to share in the comments!  Don’t forget to sign up for our newsletter to get more great pie iron recipes and other RVing tips.